Listed on the National Register of Historic Places, The Comstock Bridge, also known as the Comstock Covered Bridge is one of the three remaining covered bridges left in the state of Connecticut – the other two being the Bulls Bridge in Kent and the West Cornwall Covered Bridge overlooking the Housatonic River in West Cornwall, Connecticut. 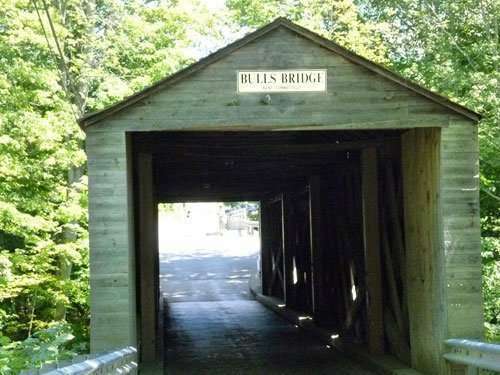 The Comstock Bridge is located on 14 Bridge Street at the junction of Colchester and East Hampton crossing the Salmon River. 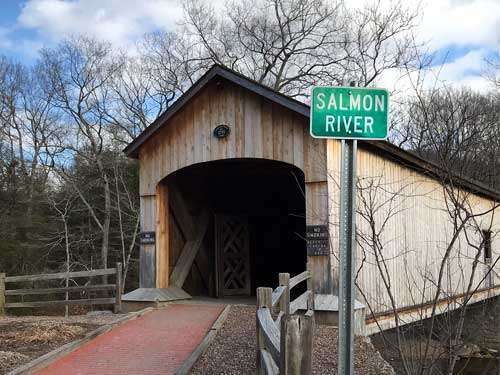 The Comstock Covered Bridge, located at the junction of Colchester and East Hampton’s Salmon River State Forest, was once a road for travel and now serves as a destination for recreation. Many fly fishermen know the perfect spot just below the bridge to wistfully adore this wooden time capsule while waist deep in the cold water below. The bridge was originally designed for function, but became much more of a focal point in the area as the years passed. 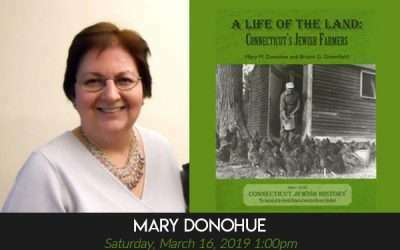 The people who historically needed this bridge to do business in places like Colchester, and Middletown did not known then that it would be a staple of the tri-town area. 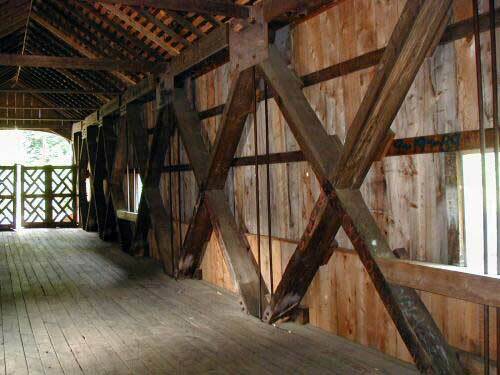 Why the fascination with the fact that this is a covered bridge? 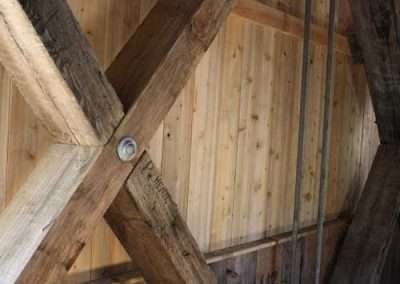 Well, not only was this bridge an example of innovative engineering for it’s time, but it withstood the test of time with the help of supportive timber and community. 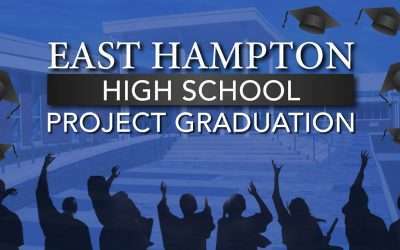 The Comstock Bridge reminds us that East Hampton has a long and rich history we can be proud of. Originally built in 1785, the bridge was a simple uncovered, structure. The Comstock was used for traffic to pass over the river en route to church services, business ventures, and general pedestrian needs; adding access to the north and south ends of town. In 1840 it was upgraded for ‘major’ traffic to be accomodated and in 1873 the bridge was remastered, thanks to the Town of East Hampton’s investment, and was adorned with a wooden Pony truss (later Howe Truss) Formation. 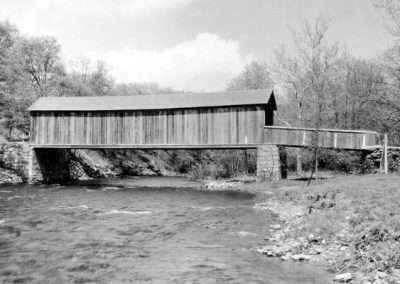 The Comstock Covered Bridge was born. The bad news is, the structure wasn’t engineered to support the weight of the covering and in the 1930’s was completely rehabilitated, utilizing concrete reinforcement and funded by the Civilian Conservation Corps. However what is remarkable about this structure is that William Howe’s design was one of the first to include integrated metal components. In researching the Comstock Bridge it was rumored that during prohibition, a truck holding gallons of “hooch”, was overturned. As a result, the alcohol was compromised! The rumor says it was thanks to the support of the friendly neighbors passing by that the majority of the booze was saved. In the 1970’s the bridge was reinforced since the original structure began deteriorating, and steel was added for supports. Although the covered structure was not perfect it remained a point of interest for locals and tourists. 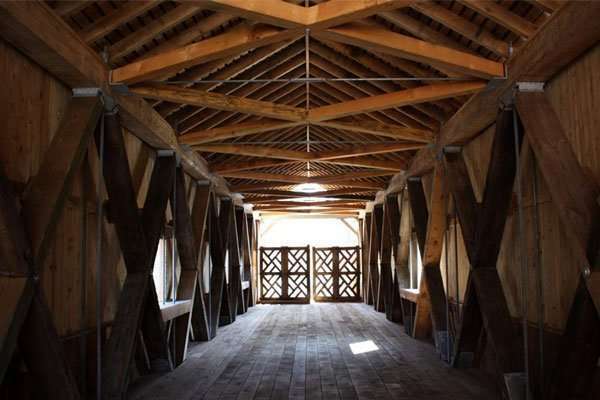 In 2012 the bridge was rebuilt using 50% of the original wood after being struck by lighting. 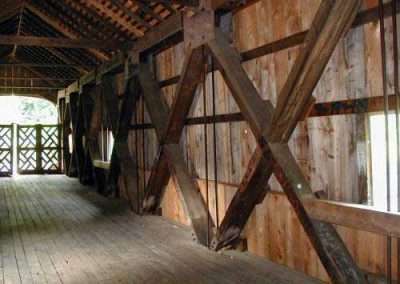 Fire damage from the strike caused an immediate need for rebuilding and using the original wood was an effort to preserve the historical integrity of the bridge. Since the rebuild it remains a piece of living history; surrounded by great recreation including fishing, hiking, picnicking and gathering for all who visit. 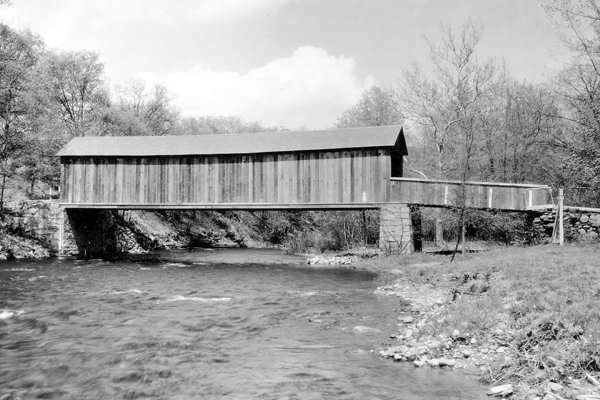 While it is now one of the three remaining Connecticut covered bridges, it was originally covered simply to protect the wooden trusses from weather. It is now celebrated for the functional beauty that makes it a New England hallmark. Named after Franklin G. Comstock, the towns first postmaster, the bridge became a means for travel, and convenience. Today we enjoy the architecture of this relic both a reminder of how our community has developed, maintained and supported itself throughout the years. The bridge serves as a beautiful reminder of the traditions of New England, its community and ingenuity. It now has a place in the National Historic Registry. The Comstock Bridge and Salmon River State Forest are located on Route 16 at the Colchester and East Hampton town line. Connecticut Covered Bridges have become a symbol of the New England landscape. 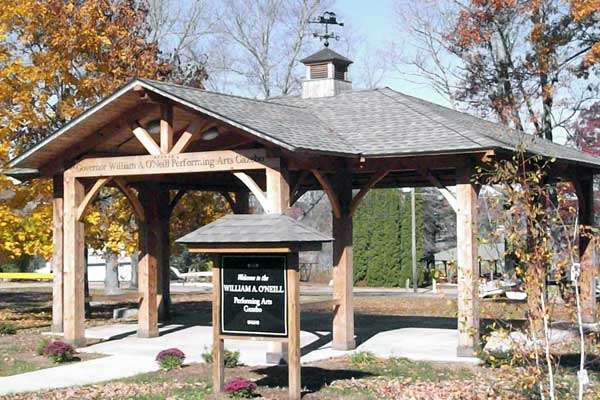 Like old homes, churches, barns, and town greens, early covered bridges remind us that the Town of East Hampton, CT has a long and rich history we can be proud of. 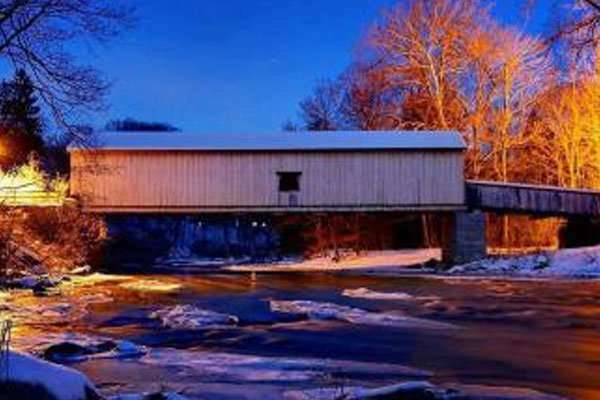 The Comstock Covered Bridge is one of the three remaining covered bridges left in the State of Connecticut – the other two being the Bulls Bridge in Kent and the West Cornwall Covered Bridge overlooking the Housatonic River in West Cornwall, CT. 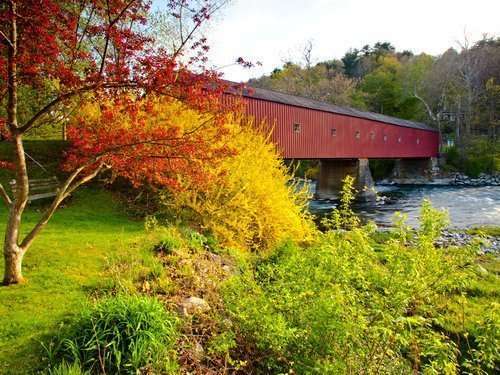 The West Cornwall Covered Bridge is one of the last covered bridges in Connecticut, this iconic landmark spans 172 feet long over the Houstantic River. Listed on the National Register of Historic Places, it still carries vehicular traffic on Connecticut Route 128. Designed by Ithiel Town, it has been in continuous service since 1864. Historic Records indicate that a bridge may have been in place in this location as early as 1762. A previous bridge was destroyed in the flood of 1837 and a new bridge was constructed in 1841. This bridge would also be destroyed and the current bridge would be completed circa 1864. Utilizing the central pier from the previous incarnation, despite the Town lattice being able to withstand the weight and single span, the bridge has two spans. The later addition of queen trusses and supports gives the West Cornwall Bridge an unusual appearance. Modernization of the bridge in 1968 and 1973 has continued to let the bridge handle traffic. It was added to the National Register of Historic Places in 1975. Sears Park is situated on Lake Pocotopaug the park was donated to the Town of East Hampton in 1910 by the Sears family. 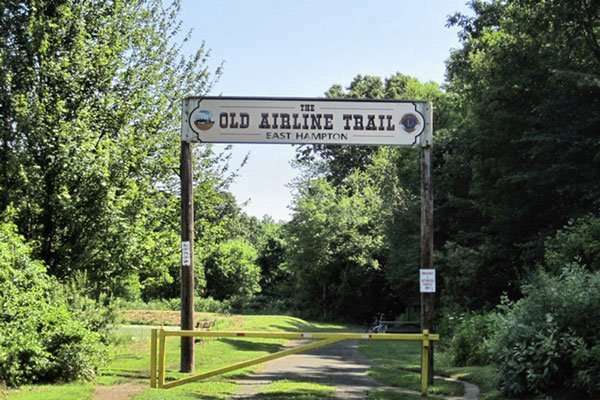 The Old Air Line Trail in East Hampton dates from the 1870s, and today draws walkers, horseback riders and bikers. 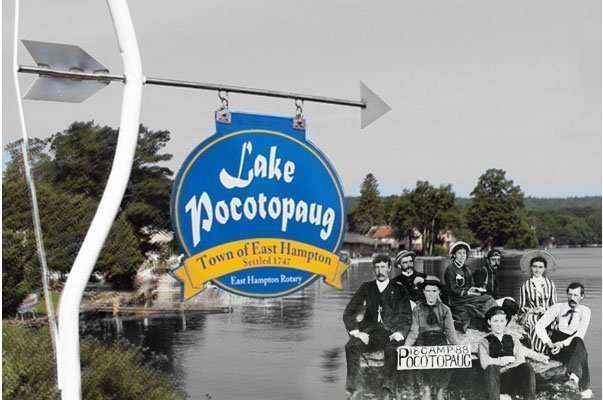 Lake Pocotopaug is a big part of East Hampton’s History and in recent times has become a popular resort area.